Here is the live audience response for GV Prakash Kumar and Samyuktha Hegde's Tamil movie Wathcman. In a matter of a week, GV Prakash is ready with one more release after Kuppathu Raja. Indeed, his lates Watcman is his third release in two months. He has now teamed up with AL Vijay, who is in the news after collaborating with Bollywood diva Kangana Ranaut for Thalaivi, a biopic of former Tamil Nadu Chief Minister J Jayalalithaa. Kannada actress Samyuktha Hegde is making her Tamil debut with Watchman and romances GV Prakash in the film. Yogi Babu, who has become most-sought comedian in the recent years, is part of the cast. Ravi Prakash, Swamninathan and many others are part of the cast. 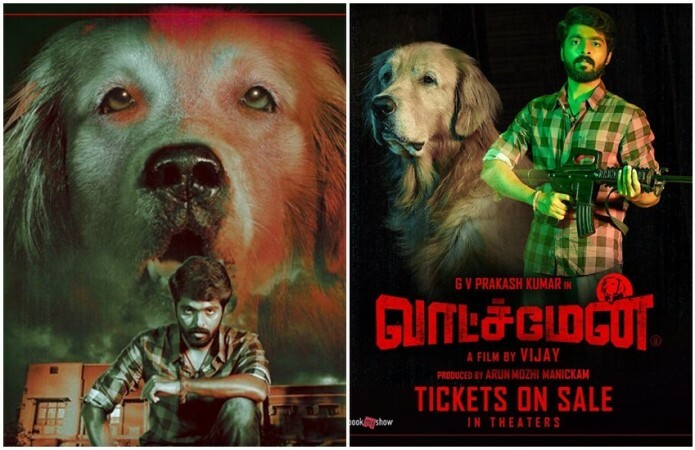 Notably a dog plays an important role in the Tamil flick. GV Prakash Kumar himself has composed the music. While Nirav Shah has handled the cinematography. Anthony has done the editing. Watchman is a thriller in which GV Prakash Kumar plays the role of a sales man. What happens to him a day after his engagement and the life-changing experience on a night form the crux of the story. Ramya Subramanian: Saw #Watchman yesterday . This time a one day episodic thriller experimented interestingly by DIR Vijay . Fully in love with Bruno ❤️! Prem Kumar: Enjoyed watching #Watchman! A brave new attempt in Tamil cinema by #ALVijay which needs to be appreciated. @gvprakash superb performance, and special mention to the dog Bruno! Congrats to the entire team! Watch it with your family.